End of summer?!!! Say it ain’t so. Yes, I know technically speaking, we have a few weeks to go before the summer ends, but while some of your are still basking or sweating in the dog days of summer, my kids have just sulkily dragged their heels to school this week; frowns on their faces, backpacks weighing them down as a literal weight has been placed on their shoulders. 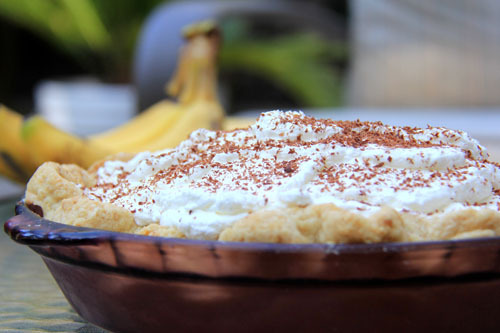 Categories: Fruit Desserts, Pie | Tags: banana cream pie, banana desserts, cream pie, end of summer, start of school, vanilla pudding | Permalink.